Wish You Could Brighten Up Your Shower Enclosure? The future of bathroom design is covered in back-painted glass! This beautiful addition to a bathroom or kitchen space creates subtle reflection and allows you to accent your space with any colour that suits your home. We mean it – any colour! Goodbye, tile grout. 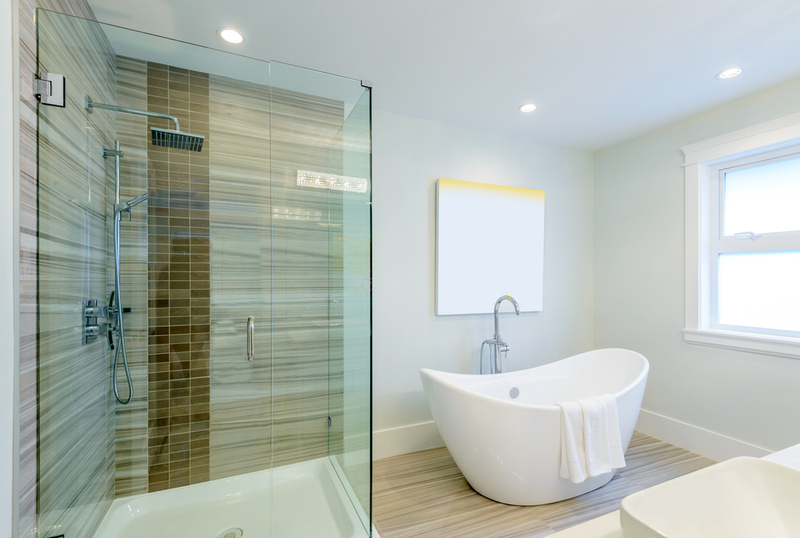 Back-painted glass makes it easy to maintain a spotless bathroom. Choosing back-painted glass instead of tiles means there’s no grooves for shower residue to settle. All it takes is a cloth or rubber wiper to clean your shower. Customise your back-painted glass colour to fit the existing colour palette of your bathroom. Never compare boring tile designs again. Go with a solid colour and chic design. Glass really gives the spa-like feeling we all desire when we’re renovating our bathroom. While you’re changing up your bathroom, have you discovered the other services we offer for a shower enclosure? Compliment back-painted glass with frameless shower doors in your bathroom. Never replace a shower curtain again! The glass design will really bring the aesthetic of the space together, and – once again – can be customised for transparency. With a few modern additions to your bathroom, you can transform part of your home into a futuristic spa! It’s all within reach – visit us at our Calgary showroom to get more ideas or personal guidance for your home renovations. We’re at F#24, 5555 2nd St S.E. (T2H 2W4).